Can you explain the ageing of the skin? EPIDERMIS – This is where the process of keratinisation and desquamation occur. As the cells of the stratum corneum are lost, replacement of keratin by mitotic activity occurs. New cells have been formed at the same rate that old cells flake off to maintain a constant thickness of epidermis. Showing a more hydrated and healthier looking skin. Our cells push upwards from the stratum basal into each successive layer, die off and become keratinised and eventually fall off. This process is optimal when we are young and so our skin is smooth and plump. As we get older this process slows down, as the cells at the basal layer are not dividing as quickly as they should do, also cells that replace the absent cells are less organised and the patterns that form become more irregular and uneven which makes our skin more susceptible to wrinkles. We can accelerate this process by abrasion of the skin surface (e.g. microdermabrasion) that results in an intense stimulation of activity in the stratum basal, which in turn gives a smoother more even textured skin. 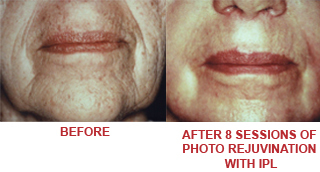 DERMIS – The ageing process also affects the dermis. The cells in this layer make protein collagen, which strengthens our skin by forming cross-linkages with each other. These linkages are replaced more slowly the older we get. and the elastin fibres become more brittle with age, and the skin is more likely to form furrows and lines and is also more likely to sag. 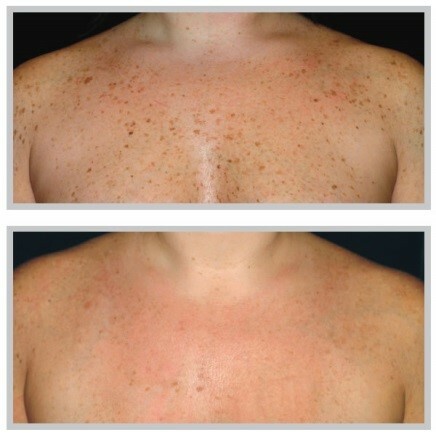 How does Laser Photo-Rejuvenation offer 4 different treatments in one? 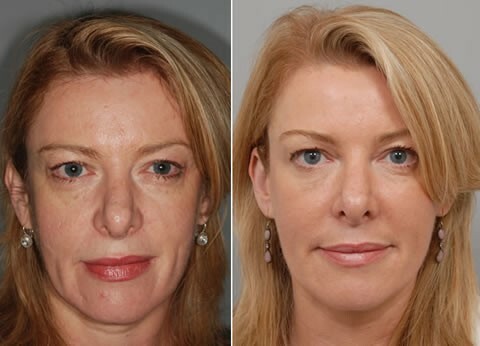 Photo Rejuvenation is a dynamic non-invasive process using intense Pulsed Light which works on the principles of SELECTIVEPHOTOTHERMOLYSIS which targets specific chromophores of the skin with selective wavelengths of light whilst leaving other components of the skin unaffected? It stimulates Collagen Production – Which improves the quality and texture of the skin. Minimising surface damage such as pigmentation – Improving the look and tone of the skin. 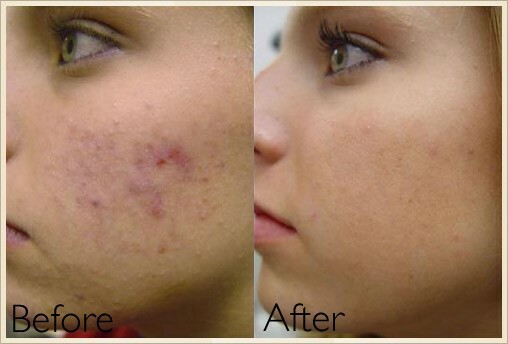 Reduces and helps to clam rosacea. Very small thread vein and broken capillary reduction. We use wavelengths from between 515 to 950nm for this type of treatment. It is believed that the heat causes slight trauma to the dermis and epidermis which stimulates the fibroblasts, also stimulating the blood flow bringing oxygen and nutrients to the area whilst removing waste and the cross fibres re-generate. The cells also absorb more water for better hydration reducing the appearance of fine lines and wrinkles and to help plump out the skin. PHOTO REJUVENATION – is the process of removing sun damage, stimulating new cell growth and increasing collagen production reducing the skins age per session and can give up to 10 years in the skins texture and tone. Normally 6 – 10 treatments are required at 3 weekly intervals. (Three weeks is considered the period to get collagen production to peak levels following laser treatment). Results are accumulative, however you may wish to have a one off treatment to ‘freshen the skin’ for an important event. You can also have a refresher treatment every 40 to 90 days after your initial course to keep your skin in a fresh condition. Success of treatments varies according to the individual. However, the better the diet, water intake and life style of the individual and the greater care they take of their skin, the better the results. 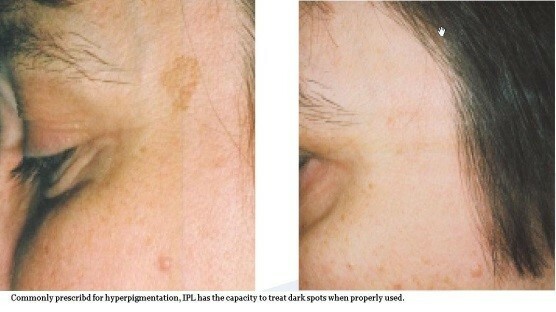 How does Photo-Rejuvenation treat Pigmentation Marks? 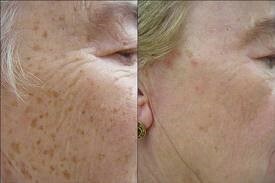 PIGMENTATION – Brown patchy areas of skin on the face and body. Age spots and freckles. 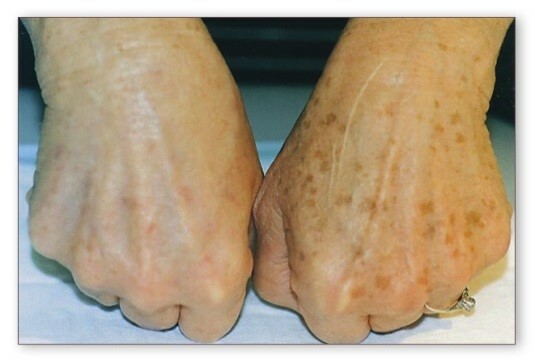 Inconsistency in melanocytes will give patches of pigmentation that are DARKER to other areas of the skin. These patches of pigment can be treated without affecting the ambient skin colour. The light is absorbed in to these patches and the melanocytes are caused to shatter, they break up and dissipate over a period of time. 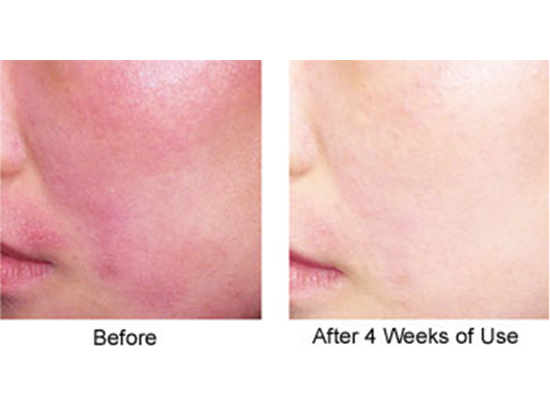 How does Photo-Rejuvenation treat Broken Capillaries? BROKEN CAPILLARIES – Selective thermolysis allows for light to be absorbed into the targeted superficial broken capillaries, spider veins and rosacea. The heat from the selective light coagulates the capillaries causing them to be broken up sufficiently for the white blood corpuscles to carry the particles away. Larger thread veins which are more visible need to be treated with our N.d Yag laser.